Oriental Small-Clawed Otters are found in streams and rice paddies of South East Asia. 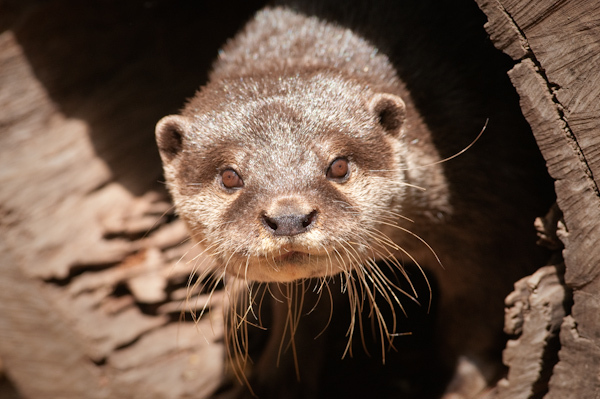 Of the 13 Otter species in the world, the Oriental Small-Clawed Otter is the smallest. They mainly eat Crabs, Crustaceans, Molluscs and Frogs but are also opportunistic hunters and will eat Fish, Small Mammals and Eggs. Their coats are water repellent and have two layers of fur designed to trap air for warmth.